Makeup is often associated with looking your best. It’s no wonder that the idea of going without it might make you feel like you’re missing something and for once it’s not your keys. The truth is, there are many ways in which you can look gorgeous without the use of even one beauty product. Give your compact the day off and put your best face forward by letting your natural beauty shine through. A trend all busy women can get behind: naturally gorgeous skin. Instead of hiding it underneath layers of makeup, give your skin some TLC when you’re off the clock. Not only will it boost your beauty, it’ll save you time in the morning (and make you feel just plain luxurious). 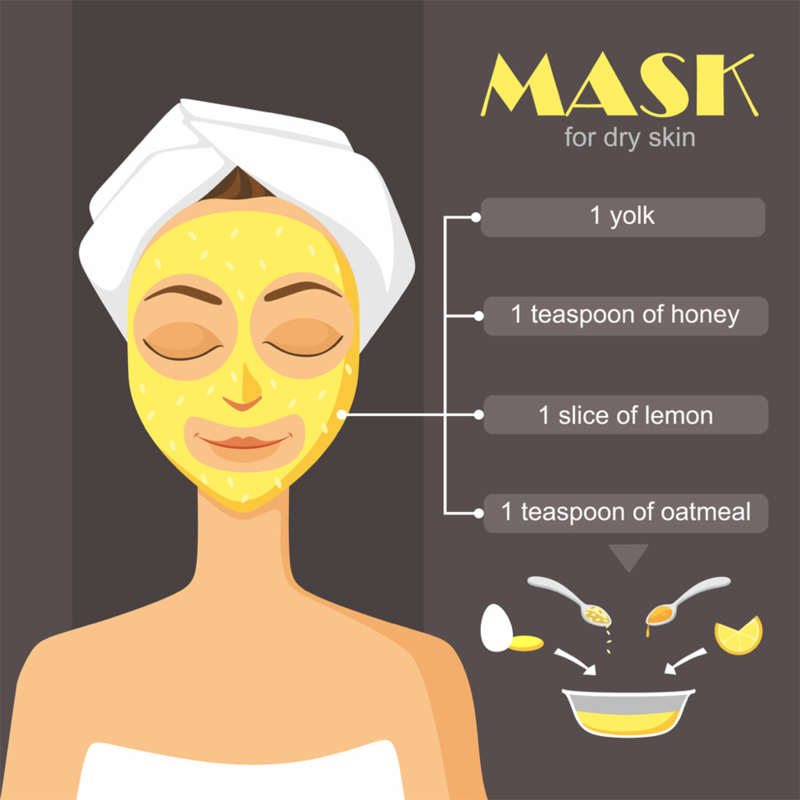 Try DIY masks with natural ingredients to hydrate skin and leave it silky-smooth. A personal favorite: Mix together a mashed banana, half a teaspoon of cinnamon and two tablespoons of raw honey. Leave the mixture on your face for 15 minutes before washing it off with warm water. Stick to a gentle daily skincare routine that includes cleansing, toning, moisturizing and applying sunscreen to keep you looking healthy and youthful. Make moisturizer your new best friend. To be most effective, choose a moisturizer like Home Health Hyaluronic Acid Moisturizing Cream, which contains hyaluronic acid and glycerine that softens, plumps and draws moisture from the air to the skin. Use a night cream that contains retinol. This ingredient increases the skin’s cell turnover, so fresh and healthy cells are on show. Olay Regenerist Intensive Repair Treatment boasts a blend of retinol and Vitamin B3 that prevents irritation. Eat skin-savvy foods. Water-rich foods such as watermelon and cucumber hydrate your skin from within. Omega-3s, found in fatty fish like salmon, plump your skin so it looks youthful. Opt for a cleanser with salicylic acid to keep your skin clear so you don’t need foundation to cover up pimples. Try Neutrogena Oil-Free Acne Wash. Its salicylic acid treats and prevents breakouts, and aloe and chamomile extracts are so soothing. This season brows are bold but natural, which makes them easier to maintain. Rejoice, busy women of the world. Brows are an important part of a flawless, natural look because they frame your face and can open up your eye area. Follow the shape of your brow when tweezing. ProTip: To locate the shape press your eyebrow hairs upwards. This will show you where the scraggly hairs are that are hiding your brows’ natural shape. 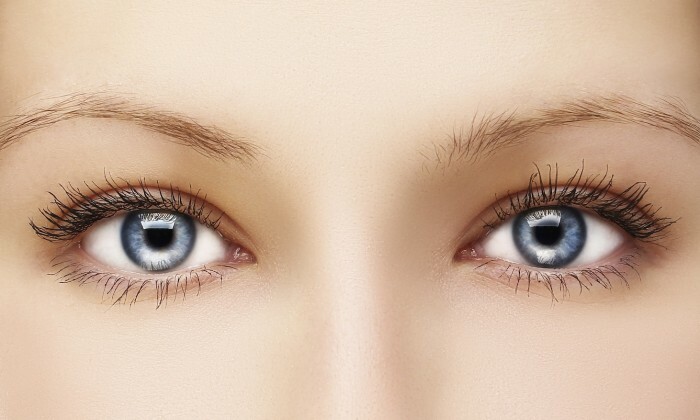 Instead of filling in brows with pencil, use a brow serum every night to fill them out and keep them groomed. If you’ve experienced trying on a colorful item of clothing only to wince at how washed out it made you look in your Instagram photo, you know the importance of color. Bringing color to your face is usually makeup’s job, so without it you should turn to accessories. To choose accessory hues that are flattering, follow this rule: Warm colors, like orange, red and brown, for warm skin; cool, like blue, green and purple, for cool skin. Not sure which is you? Hold a white towel against your face in the mirror when you’re not wearing makeup. If your skin looks a little yellow, your tone is warm; if it looks pink or blue, you fall into the cool category. Gemstone jewelry pieces add juicy colors to the mix – you can match them to your hair, rosy cheeks, or eyes to make them striking. Other ways to bring color to your face is with the use of hair jewelry (such as gemstone-encrusted hair clips), scarves and chokers. 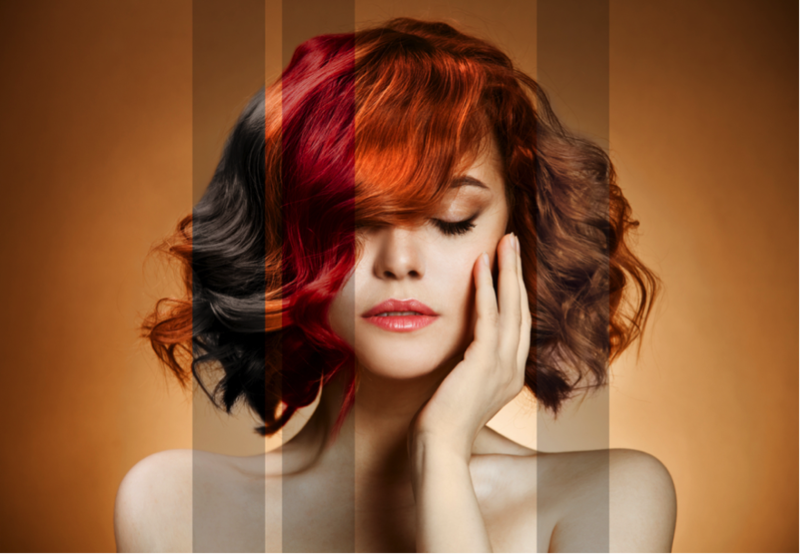 Choose the right cut and color for your hair so it will get to work on making you look gorgeous. The right hair color warms up your skin tone, giving you a natural glow. If your hair is one shade all over, this can be aging, so consider adding highlights to give you a sun-kissed appearance that removes years from your face. A flattering hairstyle accentuates your looks while the wrong cut can be aging. If you have defined cheekbones, a layered look with pieces falling in line with your cheekbones can show them off more. Bangs can instantly make you look younger. How do you keep your skin naturally beautiful? Share tips in the comments, Facebook or Twitter and snap an au-natural selfie and tag us on Instagram.